Netherlands plans to provide Sri Lanka with technical and specialist knowledge according to Netherlands Vice Minister of Foreign Trade Simon Smits…. Police have recovered 9Kgs of heroin during a raid from Wanathamulla, Borella. The haul has been seized from different locations in Wanathamulla over the last few days, Borella police said…. A group of United National Party (UNP) parliamentarians are expected to undertake a fact-finding mission on Thursday to ascertain the seriousness of the breakdown in the pipe lines at the Sapugaskanda oil refinery, party sources said yesterday…. The Sri Lankan rupee climbed to its highest in more than a year on Tuesday, as inflows from remittances and exporter dollar sales surpassed dollar demand from importers…. A suspect was arrested with nine kilogrammes of heroin worth Rs.63 million from Madiwela area by the Police Narcotics Bureau last night, Police said…. A Sri Lankan court on Monday ordered that five suspected ringleaders of a people-smuggling operation remain in custody for two more weeks, in a case that has fuelled controversy over Australia’s tough line on immigration…. The Supreme Court on Monday granted four weeks’ time to DMK president M. Karunanidhi and the Tamil Nadu government to file their response to the Centre’s reply that Katchatheevu could not be retrieved from Sri Lanka…. Former Sri Lankan skipper Mahela Jayawardene has announced that he would retire from Test cricket after the forthcoming Test series against South Africa and Pakistan…. After decades of protests, hundreds of Sri Lankan Tamil repatriates, a majority of whom live in colonies in Puttur and Sullia taluks in India will be given caste certificates…. 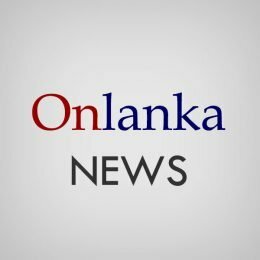 The Athurugiriya police has recovered around 100 pieces of galvanised iron pipes and wire mesh removed from the railings of Colombo Outer Circular expressway by some unidentified thieves, police said yesterday…. A world class Mario Goetze volley in extra time fired Germany to a fourth World Cup crown with a 1-0 victory over Argentina on Sunday, leaving the South Americans and their captain Lionel Messi heartbroken…. The Department of Meteorology says that the possibility for increasing of South-west monsoonal wind speed (up to 70-80kmph) at times over the country, particularly along the western slopes of the central hills and adjacent sea areas is still high….